I might have been to a wine tasting this afternoon. I might have liberated (honestly, they *insisted* I take it) a particularly delicious bottle of fizz when I left. I might have nearly “had someone’s eye out” (as my dad would say) when the top of it flew off on the tube. And I might have been taken for an alcoholic when I popped into a shop on the way home for a new Bobbi Brown rouge pot, nursing the opened bottle as if it were a baby. The nice BB lady gave me a bag to hide it in but I think that looked worse when I veered into the LK Bennet sale (just briefly!) clutching a masked bottle-shaped package to my bosom. 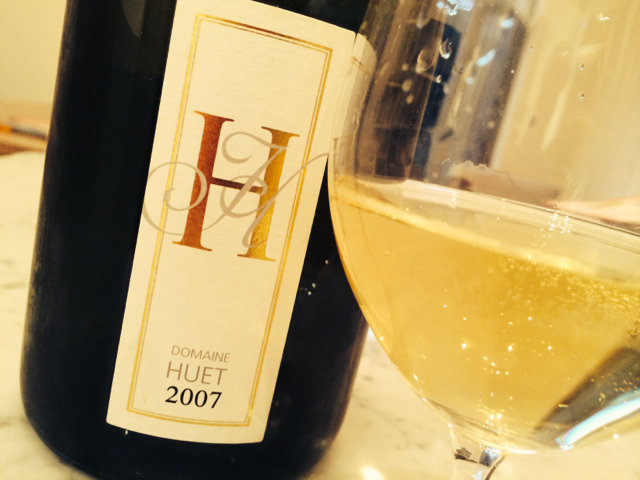 Anyway, the fizz is gorgeous – Huet Vouvray Pétillant Brut 2007 Loire, France (Bordeaux Index, £155/case/in bond) – dry and arrowlike but all edged and dripping in wild honey. And come ON pommes boulangeres with caramelised onions and pork chop and be ready, you’re going to be delicious together. a) The perfect red with the five-minute-prep dinner of steak and skinny-oven-frites and big salad, as I proved on Wednesday when I got home at about 8pm from Heathrow. b) The perfect red to take out to dinner (and let’s face it, it’s always a nightmare trying to pick a bottle of wine to take for dinner – or is that just me? ), as I proved on Saturday when I stayed over at some friends and took a bundle of unknown samples (all scoffed at) – then produced this (loved). 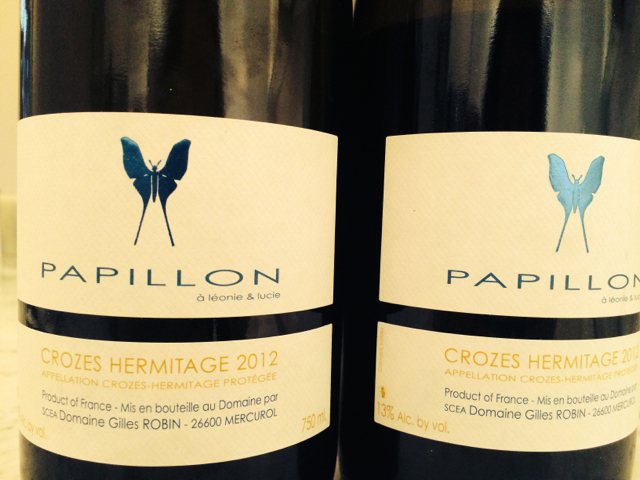 c) Soooo delicious – contemporary, easy, juicy, defined, light yet deep syrah with a lick of Brouilly about it. Immaculate, really.